Connect with us to learn more about working with George Brown College. 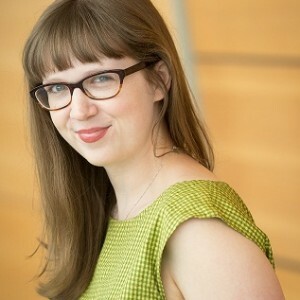 Krista Holmes is the Director of Research and Innovation at George Brown College. She has fifteen years of experience working at various institutions in the postsecondary education sector in a diverse range of positions including administrator, faculty member, consultant, and support staff. 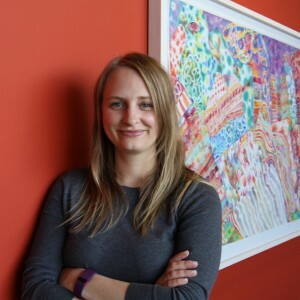 Most recently before joining the Office of Research and Innovation at George Brown, Krista was Associate Dean of Applied Research and Innovation at Humber College where she was accountable for the leadership, initiation, operational excellence and coordination of the college’s applied research portfolio. 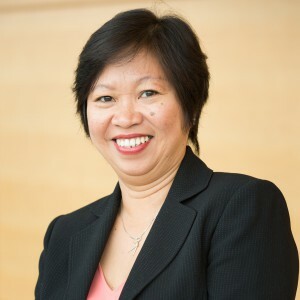 She has also been actively engaged in advancing the governance and administration of research ethics in the Ontario college sector through numerous related policy and advocacy initiatives at the provincial level. 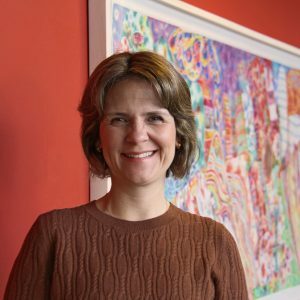 Krista’s professional experience is reinforced by her PhD in Leadership, Adult and Higher Education from the Ontario Institute for Studies in Education at the University of Toronto and her Master’s degree in Public Policy and Administration from Carleton University. 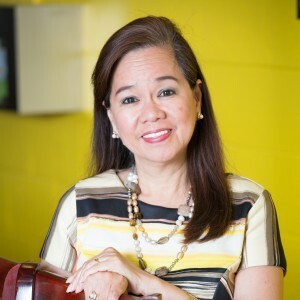 Rosalina has more than 10 years of experience in office administration, finance, accounting and bookkeeping. She is a 4th level Certified General Accountant and received a B.Sc in Commerce (Accounting) from the University of Santo Tomas. Since 2012, she has been the Budgets and Operations Manager for Research and Innovation, overseeing the budgets for the department and all research projects. 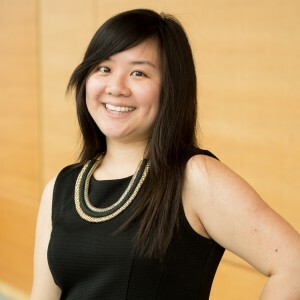 Victoria Trang is the Finance & Administrative Assistant, and has been with Research and Innovation since 2012. In this role, Ms. Trang provides support to the department in terms of processing payables, receivables, PPAFs, employment contracts, timesheets and pulling financial reports. In her previous role as a Project Analyst and Administrative Assistant at Catmedis Healthcare Inc., Ms. Trang supervised and trained junior project analysts, and was also a key facilitator between software developers and clients through communication and market research. 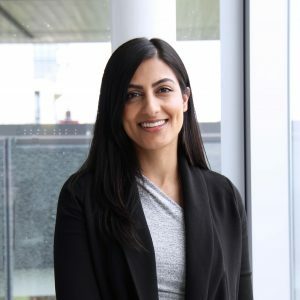 She is currently enrolled in the Business program (Diploma) under the George Brown School of Management, having completed courses in commerce, accounting and human resources at York University. Ms. Trang is a United Way Campaign Ambassador. Baaba Lewis has over five years of experience providing administrative support in and around the educational sector, with considerable familiarity with the college infrastructure. 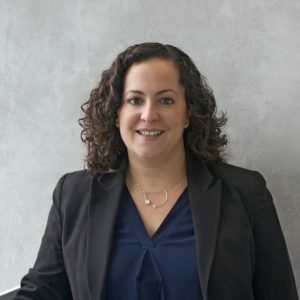 She received a Bachelor of Commerce from Ryerson University in 2005 and since 2008, Ms. Lewis has supported all activities of Research & Innovation, helping to streamline applied research across the college. As the front line of Research & Innovation, Ms. Lewis is essential to managing its relationships with external and internal clients and stakeholders, as well as the coordination of meetings, events, workshops and training. Yuchen Sun is currently a Project Manager in Research and Innovation at George Brown College. 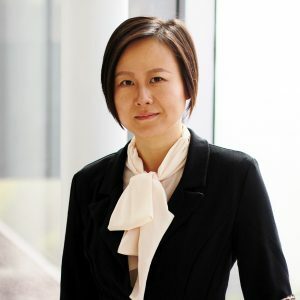 In addition to her experience of managing various Building Science and Mechanical Engineering projects, Yuchen’s portfolio of projects has focused more on BIM (Building Information Modelling) projects. 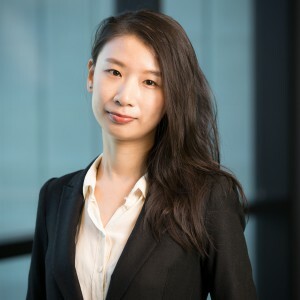 With her solid 7-year academic background and 2-year working experience in project management and analysis, Yuchen has proven to be a great asset on project scoping, budget analysis, and change management. Alexis Lau has a diploma in Human Resources from George Brown College and is pursuing a Bachelor of Commerce with a focus on Law and Business. She is a current CHRP, working towards her CHRL designation and manages the onboarding of project personnel. She has been with the department since 2012, first starting off as a Project Manager, where she learned the fundamentals of the onboarding process within the college environment. Alexis has 10 years of person-focused soft skills that she brings to the role and is always looking to streamline processes and increase efficiency. As Knowledge Transfer Coordinator, Ms. Butler oversees all ongoing outreach for the ORI, including divisional messaging, media production, press releases, funding proposals and marketing materials. Her career to date has explored a diverse range of media, spanning traditional outlets like print, advertising and publishing as well as emerging sectors like film, design, digital and social media. Jillian received an M.A. in Media Studies from York University in 2012, a B.A. (Hons) in English Literature from Memorial University, and a certificate in Graphic Design at George Brown College. 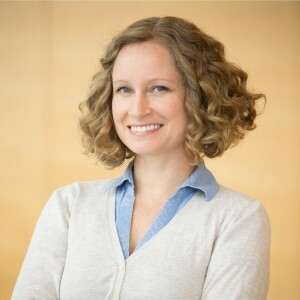 Erin Jones has a Masters of Information Studies from the University of Toronto, with a specialty in usability and human-computer interaction. Ms. Jones is a researcher with 12 years of experience in study design and execution, with focus on online learning and development of interactive learning content, especially in the field of health care. Ms. Jones has also been working in Applied Research for the past 4 years and brings 9 years of Project Management experience to the department. In this time, she has assumed responsibility for the management and maintenance of the department’s DSpace Digital Archive, as well as data management and custom reporting using the ROMEO research database. Daniel Caunter is an experienced project manager with 4 years of corporate project management experience in the areas of green building technology and commercial real estate. Previous to joining George Brown, Mr. Caunter served a project manager at a variety of green and tech-related firms, completing a diverse portfolio of projects including solar PV construction, process efficiency improvements and customized software deployments. 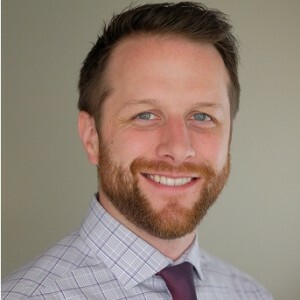 Mr. Caunter has an MBA’09 Schulich School of Business (York University); Graduate Diploma in Business and Environment (York University) and a BCOMM, Major in Management (Concordia University). He also completed his LEED Green Associate accreditation in 2013 and earned his Project Management Professional (PMP) certification in 2015. Juan brings 10 years of experience to the Research and Innovation Office in both the public and private sector. Her previous work for the City of Toronto and the City of Vaughan includes engagements to secure sponsorships and grants, and promoting various city building projects for new public libraries and library renovations. She also has a background working in the construction and architecture industries in Canada and abroad, focusing on sales and marketing. Juan is a George Brown College alumni, holding an advanced diploma in Business Administration – Marketing, which complements a dual Bachelor of Business Management and Law. 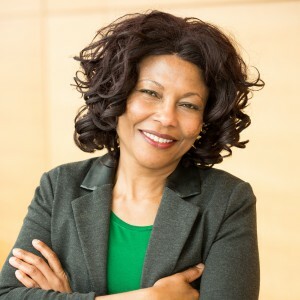 With a career that has encompassed strategic institutional planning, research and teaching, Ms. Aboagye joins Research and Innovation as the project manager of Social Innovation. In this capacity, Ms. Aboagye provides guidance and management of research methods and budgets to researchers applying to or currently awarded funds from the Social Sciences and Humanities Research Council (SSHRC). 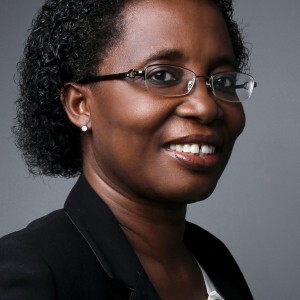 Previous to joining George Brown, Ms. Aboagye served as Strategic and Institutional Research Specialist at York University and as Senior Researcher for the Institute for Global Citizenship and Equity at Centennial College. Ms. Aboagye has a PhD. and M Ed. in Higher Education from the University of Toronto and a BA (Hons.) in Sociology and English from the University of Ghana. Ms. Gigli comes to the team from the Canadian Breast Cancer Foundation, where she assisted in data analytics and fundraising. She has also served as an Enterprise Risk Consultant at Santander Bank in São Paulo, Brazil. She studied at the University of São Paulo where she obtained a bachelor’s degree in Statistics and an MBA, and is also a recent graduate from the George Brown Project Management Postgraduate program. 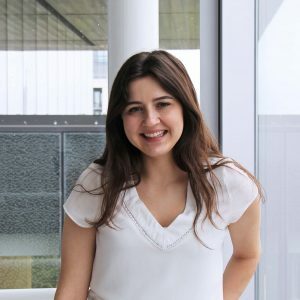 Ana possesses a wealth of experience in risk and project management from the banking and nonprofit industries, and looks forward to applying that knowledge to the Social Innovation projects at the college. 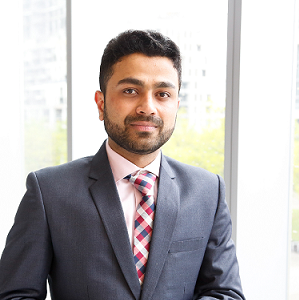 Arbab brings a familiarity with the day to day of a construction site combined with practical managerial experience. He has worked for contractors such as Maple Reinders Constructors Ltd., kara Consultants Inc., NKG Infrastructure Ltd. and Unity Infraprojects Ltd., where he gained a familiarity with coordinating architectural & structural models, 3D models, OHSA requirements and project scopes and scheduling. Mr. Khan has an B. Tech. Civil Engineering (Jamia Millia Islamia University, India). He also completed Post Graduate Certificates in BIM Management (George Brown College) and Construction Project Management (Fanshawe College). 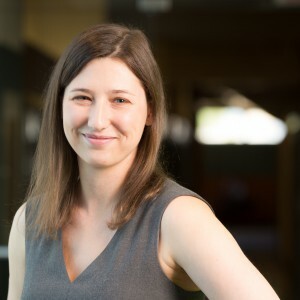 Morgan Kierinkiewicz joined Research & Innovation in 2013, and has managed projects in a variety of sectors including food & beverage, healthcare, and green technology. 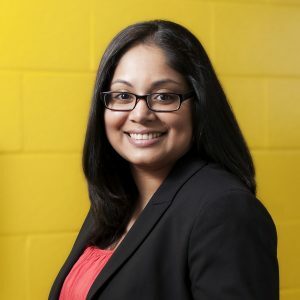 As a graduate from George Brown College’s Business Administration Program (Project Management), she joined Research & Innovation with three years of experience in and around the hospitality industry, as well as two years in the sports entertainment and healthcare sectors, respectively. Morgan uses the insight from these diverse industries to promote and support partners every day. Bob’s career in food product development, research training and mentoring, quality control and field assessment has taken him across Toronto, Northern Ontario, New Jersey and Brazil. If you have ever enjoyed jalapeno havarti, the world-wide gold standard for Pizza Hut crust and pepperoni, or toaster chicken you have sampled a small selection of Bob’s portfolio. His resume spans the development of 200+ food products and menu items for many major food services and retail brands. A seasoned and charismatic contributor in the lab, office and boardroom, Bob prides himself in building teams, transforming processes and developing new and exciting products. Bob is all about the “why” in finding solutions to technical problems and is always planning his next adventure. Robert McCurdy brings considerable academic and industry experience to his role as the Applied Research Food Scientist at George Brown College. Rob has undergraduate Bachelor’s and Master’s degree in Food Science, both from the University of Guelph. 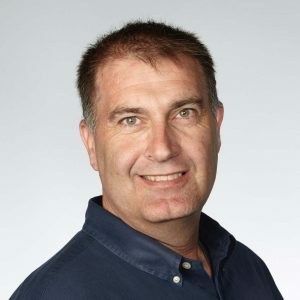 Rob has more than 18 years of experience in product development, project management, quality systems design and development, scientific writing and experimental design within the food industry. Rob’s retail & food service experience includes roles as a Quality Scientist (Royal Canin Canada), Senior Scientist (Masterfoods USA), and Product Development Manager (Lyons Magnus). Rob’s expertise includes product formulation, nutritional compliance testing, process & product optimization, thermal processing, consumer testing, sensory evaluation, technical writing, food chemistry, bench-top to production scale-up, regulatory compliance, and food production management. Craig Wakefield’s focus at FIRSt is product development–the methodologies and practices that begin the product lifecycle in the creation of something new. In his career he has contributed to strategy, set specifications, and overseen trials and production for hundreds of private label and branded products including ice cream, pizza, juice, soup, yogurt, pasta dishes, frozen entrees, canned goods, baby food, and beer. Craig has applied his culinary and food science backgrounds to work for several companies, both large and small, helping them to innovate and grow to their full potential. He has traveled the world visiting major food shows, top purveyors and dining rooms in search of food that is innovative, trend-setting, and authentic. Craig holds a BSc from Ryerson University, professional certificates from University of Guelph, the American Institute of Baking, the Culinary Institute of America and is a George Brown Culinary Grad. He is a member of the Canadian Federation of Chefs and Cooks, Research Chefs of America, the Canadian Institute of Food Science & Technology and is a Red Seal Chef. Emily’s interest in the culinary specialty of the food industry began when she participated in the 2016 Research Chef’s Association: Student Product Development Competition in Denver, a team based cooking competition. Emily brings a diverse set of student experience with her, previously working with the Biscuit R&D Team at Mondelez International (working with brands Oreo and Chips Ahoy), as a microbial technologist at Maple Leaf Foods, and as a research assistant for the Canadian Institute for Food Safety (CRIFS) at the University of Guelph. She has also acted as a representative, coordinator and president in various food science associations and clubs. Emily has a Bachelor of Science (Food Science) from the University of Guelph and a Culinary Certificate from George Brown College. Kassandra Wagner joins the FIRSt team as a Food Scientist, after working for Metro Inc. as a Regulatory Affairs and Quality Assurance Specialist, specifically dealing with private label brands. She has experience with food start-up companies, working on product development and digital marketing. Kassandra brings experience and education with her in the field of food science, discovering her passion for the field after volunteering at a food microbiology lab during her first summer at school. When not at FIRSt, you’ll find Kassandra out at new restaurants or the most recent festival in Toronto, trying to replicate some of her discoveries at home! Kassandra holds a Bachelor of Science in Food Science (Honours), with a minor in Nutritional and Nutraceutical Science, and continues to study business, community nutrition and dietetics. She is passionate about fitness and is currently studying for a certificate in exercise science and nutrition. Candace Rambert has a B.AA from the University of Windsor and is an alumnus of the George Brown College (GBC) Culinary Management program and Culinary Arts – Italian postgraduate program. Candace has 12 years of foodservice experience in catering, hotels and restaurants. Her expertise in recipe development and knowledge of product development processes and specialty equipment make her an asset when working with the food scientists and culinary students at Food Innovation and Research Studio (FIRSt). In this role, Candace applies her culinary techniques and experiences to exceed the demands of FIRSt’s diverse clients. Candace is also a past recipient of the prestigious Ontario Hostelry Institute’s ‘Top 30 Under 30’ award. Lorenza Carandang joins the team as Administrative Assistant, bringing extensive experience in managing operations and administration, with diverse skills ranging from client management, financial and wealth management to investor and shareholder communications and budgeting. Prior to joining FIRSt, she worked at Kingsdale Shareholder Services in Client Management, as well as nine years as Operations & Administrative Officer – Investment Operations and Control for AIG Philippines. Her considerable history of office management ensures that our partners and projects are supported by streamlined operations and an efficient infrastructure. Lorenza has a B.Sc. degree in Business Administration from the University of the Philippines. Michelle brings a value-chain approach to the team at FIRSt. She has spent her academic and professional careers in primary agriculture, agri-food, and agri-technology, and even continues to occasionally assist on her parents’ cash crop farm in South-Western Ontario. With a Bachelor’s degree in Social Development (University of Waterloo) and a Master’s degree in Political Science and International Development (University of Guelph) she studied food and agriculture through a very different lens. Michelle applies her interdisciplinary background by bringing creative and holistic solutions to clients and partnerships. Christine has always been interested in hands on learning in the recipe and product development world. After completing a BA in nutrition at Western University she came to George Brown College to attend the culinary management nutrition program. 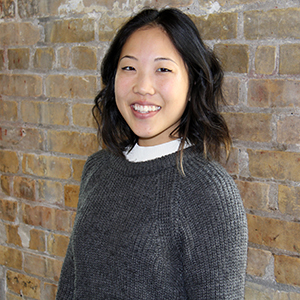 Christine returns to the FIRSt team, working as a Business Development Liaison, after a dynamic set of experiences as a student researcher during her studies here at George Brown College. She interned at Yum! Restaurants in the United Arab Emirates for four months, working in new product development. She then completed her college externship in the Canadian Living Magazine test kitchen. Upon graduating George Brown, she worked as the assistant chef for the Toronto Blue Jays baseball team. In addition to her new role at George Brown, Christine is currently working as a recipe tester/assistant with college chef/professor Amy Symington on a new plant-based, culinary, cancer-care cookbook/guide for Gilda’s Club Toronto. Planned publication of this collection is at the end of 2018. 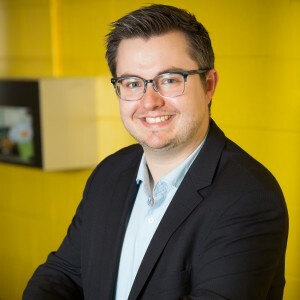 Dan Reilly has managed projects at George Brown College in a variety of sectors including health sciences, green technology, web development, education, and product development. He has served as a project manager on projects for Human Resources and Skills Development Canada (HRSDC), Scouts Canada, CAMH, the Princess Margaret Cancer Centre, and many local SMEs. Dan graduated from George Brown College with an Advanced Diploma in Business Administration and was the recipient of the GBC Project Management Award of Distinction. After spending 2014 in the role of acting Senior Project Manager for Research and Innovation, Dan assumed the role of Senior Project Manager for the Food Innovation and Research Studio (FIRSt) in early 2015. Dan also teaches project management at George Brown College in the School of Management. Nuvi Dhaliwal joins with a strong knowledge of grant operations and funding streams in publicly funded and not for profit environment. She previously worked with the PSI Foundation, where she served as the Post-Award Grant Officer and focused on tracking grants in medical research through metrics, blogs, social media, final reporting, etc. She has also worked for the Greenbelt Fund, supporting the increase of local food in Ontario, and with Maple Leaf Foods in digital marketing. Ms. Dhaliwal has a B.A. (Hons) from the University of Guelph in International Development, Political Economy and Administrative Change. Natalia Rogacki is a graduate of the Business Administration, Project Management program at George Brown College & holds an Honours Degree in History from Carleton University. Ms. Rogacki come to FIRSt with a background in hospitality and event planning, previously serving as Events and Projects Assistant for George Brown’s Centre for Business and various public-facing roles with the Cedar Fair Entertainment Company. She has an extensive history of volunteer work in and around social services and community development, including Pump Up Parasport, a Sitting Volleyball Tournament organized to introduce participants to the parasports available for athletes. Amanda Thirkill has over five years of experience managing projects in marketing and digital media productions. Amanda’s passions include efficiency, teamwork and team leadership to create impact. She brings disciplined planning and organization skills to the table to ensure projects run smoothly and clients have the best experiences. 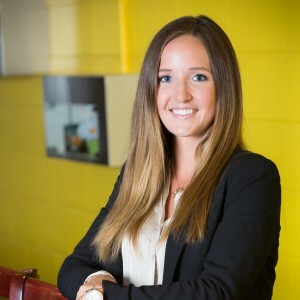 Amanda holds a BA in Communication Studies from Laurentian, a Graduate Certificate in Public Relations from Cambrian College, and since graduating has been active in continuing studies, taking courses in project management, and digital communications management and strategy. Outside of FIRSt, Amanda is a professional photographer, focusing on families, weddings and corporate projects. FIRSt will undoubtedly have her snapping food pictures around the lab in no time. Safia provides her expertise here at the Research and Innovation Office to the startGBC program, supporting various projects, liaising with college contacts and vendors to run events and community activities, develops the monthly newsletter, and maintains the startGBC web channels. Previous to her time here, she interned at a design agency as a Business Development Associate, creating content for a wide range of communication materials across multiple channels, including web copy, email marketing, and social media. She also worked during her undergraduate degree as an Online Editor for University of Toronto Missisauga’s official school newspaper, The Medium, where she co-developed two successful online platforms. One of her extracurricular activities during university included election as the marketing coordinator for a Cultural Student Association. Safia graduated from the University of Toronto with an Honours Bachelor of Arts, majoring in English Literature and Culture, Communications, and Information Technology, and received a Digital Communications certificate from Sheridan College.